This month’s facilitator is Mrs. Fredeswina Tantengco-Javier, a mother of 4boys and 1 girl, married to Romeo for 23 years. Her oldest son Conrado was diagnosed with autism at the age of 3 ½ year old and now a 22 yr old Senior Business Management student at the New Era University. 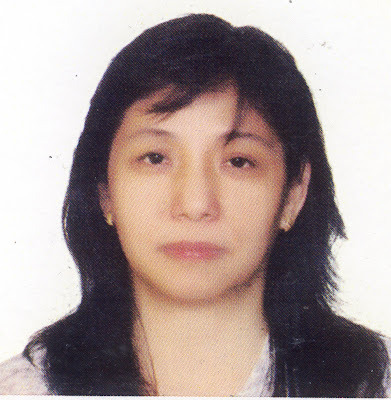 Fredes finished her MA Special Education at the University of the Philippines. She was a trainer/ facilitator of Leadership Development Forum in their Church. A member of the Executive Council of the Ateneo High School– Parents Union for School and Hope for 3 terms; Vice President of the Society of Parents, teachers and Friends in O.B. Montessori Center , Greenhills for eleven years; proponent, prime mover and consultant of The Special Education Program of the New Era University. She is also a member of various Parent Support group and SpEd Consultant in some other schools. She was a member of the Board of trustees of ASP from 1990 to 2003. And now back as member of the Board.